The science is very mixed on the subject of global warming. 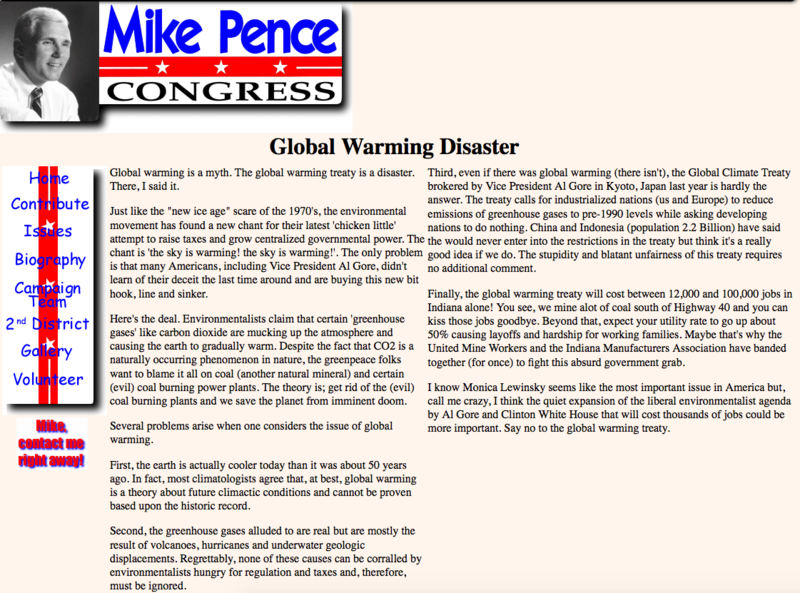 As governor of Indiana, Pence has continued to fight against policies intended to combat global warming. His latest battle? An effort to block President Barack Obama’s Clean Power Plan, a set of Environmental Protection Agency regulations that would limit greenhouse gas emissions from coal-fired power plants. Last year, Pence called Indiana a “proud pro-coal state” on a press call, according to theIndianapolis Star. He vowed to resist the new regulations.